The purpose of this AIA approved continuing education class is to provide the architects, the design community and school administrators with the basic principles and techniques to make a school safe from terrorist attacks and school shootings and at the same time ensure it is functional and aesthetically pleasing, and meets the needs of the students, staff, administration, and general public. 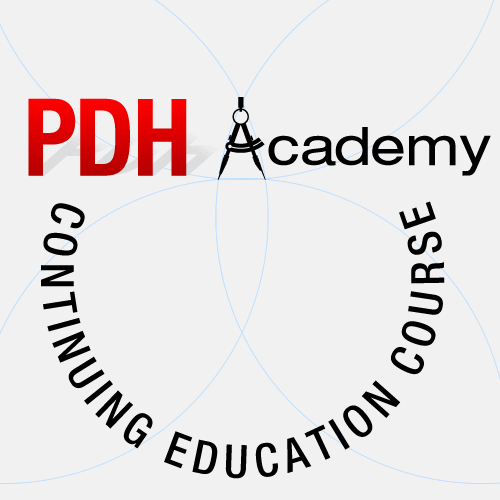 This course is approved by the AIA for 5 continuing education hours for architects. The purpose of this AIA approved continuing education class is to provide the architects, the design community and school administrators with the basic principles and techniques to make a school safe from terrorist attacks and school shootings and at the same time ensure it is functional and aesthetically pleasing, and meets the needs of the students, staff, administration, and general public. Protecting a school building and grounds from physical attack is a significant challenge because the design, con­struction, renovation, operation, and maintenance of a facility must consider numerous building users, infrastructure systems, and building design codes. Ensuring the safety of students, faculty, and staff in our schools, as well as the safety of the school buildings themselves, is critical­ly important. (Course material is from Chapters 1 & 2 of the Primer to Design Safe School Projects from FEMA/Homeland Security 2012) The AIA has approved this continuing education course for 5 hours of continuing education for architects. Learning Objective 1: Upon completion of this course, the student will understand the key aspects of security risk management for schools with an emphasis on risk assessments. Learning Objective 2: The student will be able to use the latest risk assessment method­ology, called Integrated Rapid Visual Screening (IRVS), devised by the Science & Technology Directorate of the Department of Homeland Security. Learning Objective 3: The student will know of comprehensive architectural and engineering design considerations for the school site. Learning Objective 4: The student will learn that site design can play a major role in guarding against attacks that are carried out by inside or outside perpetrators who, for whatever rea­sons, target a school and its occupants.